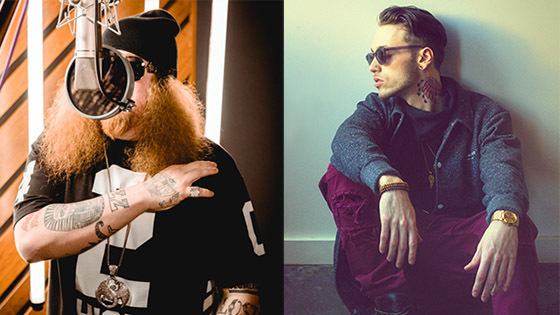 One of our newest artists, Darrein Safron, is working with one of our veteran emcees, Rittz. Darrein has had a busy 2016 so far. After dropping the track “Bad Gurl”, Darrein then announced his first EP with Strange, The Brilliant EP, out now for pre-order. Meanwhile, Rittz is continuing to put the finishing touches on his upcoming album Top Of The Line. Darrein took to Instagram to let the world know about a song in the works with Rittz. At this point, we can only assume it’s for Rittz’ Top Of The Line, but we’ll have to sit tight for now. Could this be for Rittz’s upcoming album Top Of The Line? Or is this another project entirely?